Let me start off by saying that I don’t make posts like these often but when I do it is because I feel a heavy burden telling me to do so. Disclaimers: I am not obsessed with politics, I do follow them, however. I am Christian, I have Christian beliefs and I stand by those beliefs. As I’m sitting here behind the keyboard with a feeling of loss in my heart I begin to really contemplate where we went wrong as a whole. 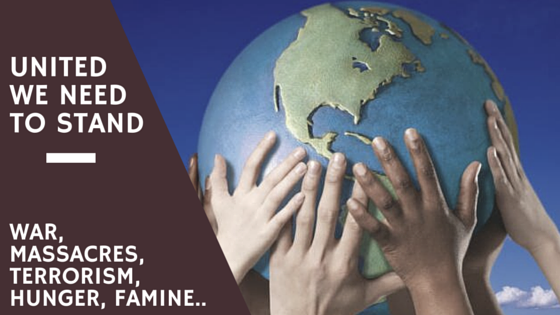 Wars, massacres, terrorism, hunger, famine–so many detrimental crises. Facebook post after Facebook post I witness someone demeaning people who are for or against the refugees being let into our country, people commenting “Christians aren’t like Christ”, posts that all Muslims are in ISIS, I see so much segregation among beliefs and values. I have Muslim friends, Athiest friends, Hindi friends, Christian friends, etc. One thing stands true with all of my friends, they care about the humanity of all people regardless. Personally, I’m tired of all of the negativity and pessimism going around and I want someone to actually stand up and do something productive. In times like this, we need to leave all of the foolishness behind, stop pointing fingers and calling each other names. We really need to find a common ground among the majority to figure out how to solve our problems. 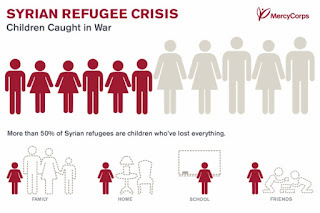 Syria’s civil war is the worst humanitarian disaster of our time. 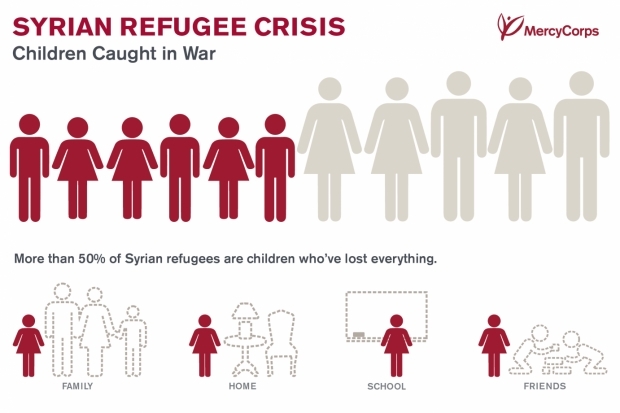 The number of innocent civilians suffering — more than 11 million people are displaced, thus far — and the increasingly dire impact on neighboring countries can seem too overwhelming to understand. We must ALL stand together, be courageous, and never lose hope that the world will become a better place. We need change, whether it be politically, spiritually, or any other factor of change. It’s so cliché but we have to be the change we want to see in the world if we want to see the change. What is happening is nothing short of atrocious and I truly think it’s a time for our country to do something about the situation and the refugees looking for a “safe house”.